Santa riding down the M54 on a motorbike... in July! Apparently there was a lot of chat last night on free radio, as someone thought they had sunstroke on Sunday as they saw Santa riding down the M54 on a motorbike, then the Teletubbies on a trike. 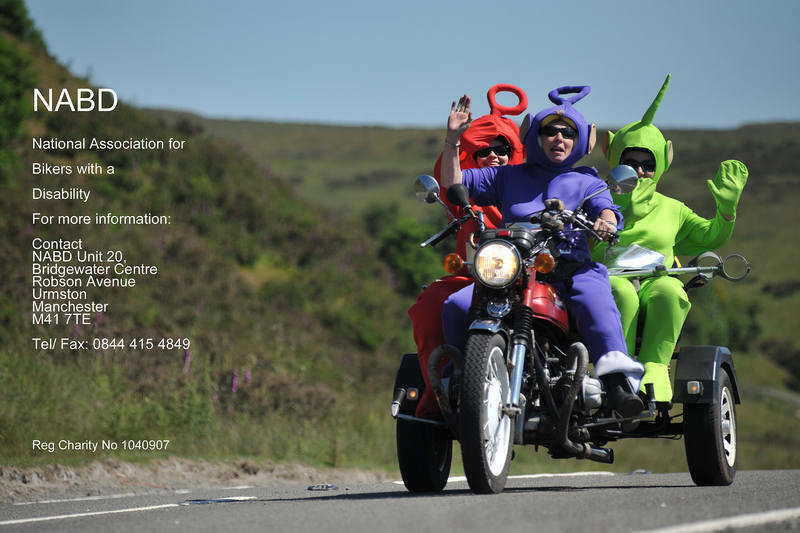 Well they were correct as Shifnab were doing their 5th 155 Mile Sponsored Fancy Dress Café Stop ride, in aid of the NABD (National Association for Bikers with a Disability) and the Orthotic Department @ Gobowen Hospital. Approximately 33 motorcyclists took part on the hottest day of the year so far, some wearing fantastic costumes over their leathers & melting inside, but it was worth it, as so far they have raised about £1,000 for the two very worth while causes with more money still being donated by companies and the general public.